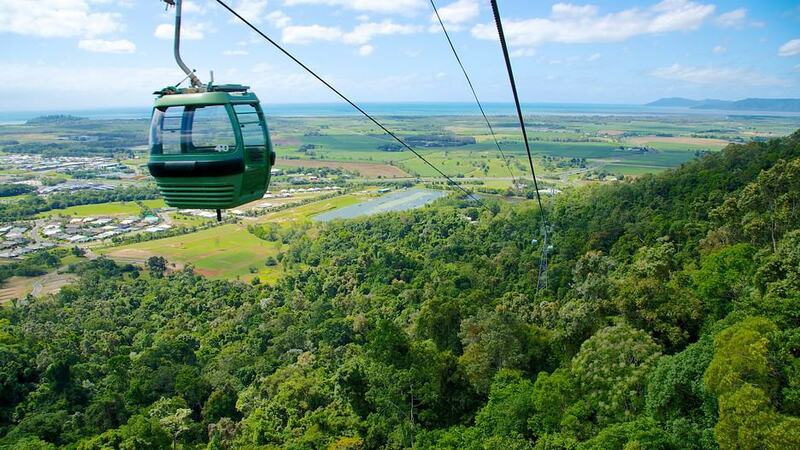 Cairns is a thriving tourist hotspot in Tropical North Queensland, hugely popular with tourists from all over the world. The city boasts mild winters, gorgeous beaches, stunning scenery, great nightlife and plenty of fun things to see and do. If you’re visiting Queensland, Cairns is a must! The Great Barrier Reef is the largest coral reef in the world, and is listed as a UNESCO World Heritage site. The colorful coral is stunning, as is the abundant marine life, making it perfect for swimmer, snorkelling and scuba. If you prefer to keep dry, there’s still lots of activities to enjoy at the Reef, such as the underwater observatory and the semi-sub, and you can even send a postcard from the only Australia Post postbox on the Reef! The Botanical Gardens are considered to have one of Australia’s best exhibitions of tropical plants, and the plant life here is strikingly different from what you may have seen in botanic gardens at cooler climates. There’s also lots of native animal and bird life to spot in the grounds, walking tracks to explore, and informative tours to learn about the species you’ll find in the Gardens. The Scenic Railway runs from Cairns to the nearby town of Kuranda, passing by incredible scenery such as World Heritage-listed forest. The railway was originally built over 120 years ago as a commuter railway, and is now used as a tourist railway. The trip takes just under 2 hours one-way, and the astonishing scenery makes it a must on your Cairns itinerary. Palm Cove is a charming seaside village, and the home of a beach that’s considered to be Cairns’ best. The village is named for the paperback palms that line the Esplanade to gorgeous effect. It’s a great spot for a relaxing day of sun, sand and surf, and it’s also popular for kayaking, snorkelling and scuba. If you’re a golfer, there’s also a 9-hole golf course only a 1km walk from the beach. The Crystal Cascades are a hidden gem of Tropical North Queensland: a freshwater swimming hole nestled in a tropical rainforest, with several small waterfalls flowing into large pools. There’s BBQ and picnic facilities in the area, and it’s a very magical experience of Australian nature to be able to swim surrounded by peaceful, serene rainforest. The Daintree Rainforest is one of Australia’s most picturesque sites, with stunning scenery, and abundant flora and fauna; in particular, you’ll find the vast majority of Australia’s bat and butterfly species here. As well as being a delight for nature-lovers, it’s also a fascinating spot for scientists: Australian flora and fauna evolved largely in isolation, and the Daintree tells the story behind this incredible site, but it’s also amazing just to enjoy the breathtaking walking trails, waterfalls, and forest and coastal views. This award-winning cultural park is operated by the original custodians of the land, and tells their creation myth using a combination of actors and hi-tech holograms. You can also ride a canoe, take part in a fireside corroboree, and much more. It’s a very educational and entertaining experience. Cairns is known for its abundant marine life, and if you enjoy dolphin and whale watching, you’ve come to the right place. Various tour companies operate cruise tours, and you’ll find a wide range of species here depending on the time of your visit. The Great Barrier Reef forms a breeding sanctuary for cetaceans (whales and dolphins), with 35% of the world’s total living whale and dolphin species calling the Reef home. 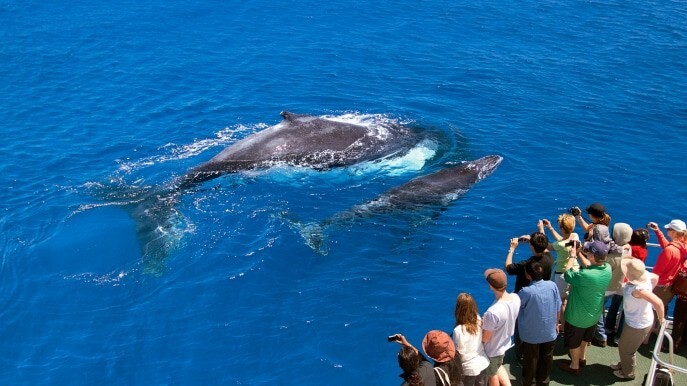 In particular, there’s a period between July and September in which 2,000 humpback whales migrate to Cairns to birth and nurse their calves, making a 10,000km round trip all the way from Antarctic waters. These massive mammals are a truly splendid sight. The Atherton Tablelands are a highland region half an hour out of Cairns, and they’re a lovely way to spend a few days. They’re not as heavily touristed as Cairns, which can be a refreshing change if you’re looking for somewhere truly peaceful, picturesque, relaxing and unspoiled. The higher altitude of the Tablelands means that they are more temperate than Cairns, and with less humidity, making it a very comfortable getaway in the height of summer; like Cairns, the winters are mild. Many sweet little towns dot the Tablelands, and despite being quieter than Cairns, there’s still plenty for visitors to do: the Tableland Express steam journey, Hou Wang Miau Chinese Temple, the Gallo Dairyland dairy farm, the Coffee Works boutique roastery, the Lake Barrine tea house, and the fascinating Tyrconnell Historic Goldmine. Green Island is one of Cairns’ most loved tourist attractions: a coral cay 27km offshore from Cairns, within the Great Barrier Reef Marine Park World Heritage Area, only 300 metres wide and 650 metres long. The pristine white sand beaches, verdant rainforest and crystal blue waters make it a perfect spot for relaxing and enjoying Australian beach life. Cruises are available to the Island, and there’s the option to stay overnight at the Green Island Resort, considered one of the world’s most eco-sensitive resorts. Once you’ve enjoyed relaxing in the peace and quiet of places like Green Island and the Tablelands, you might be in the mood for some city fun, and Cairns’ markets are just the place for it. The Cairns Night Markets are open 365 days per year, with the shops opening from 5pm to 11pm and the food court opening from 10am to 11pm. There’s a vast array of souvenirs, delicious food stalls, and the works of local artisans and designers. 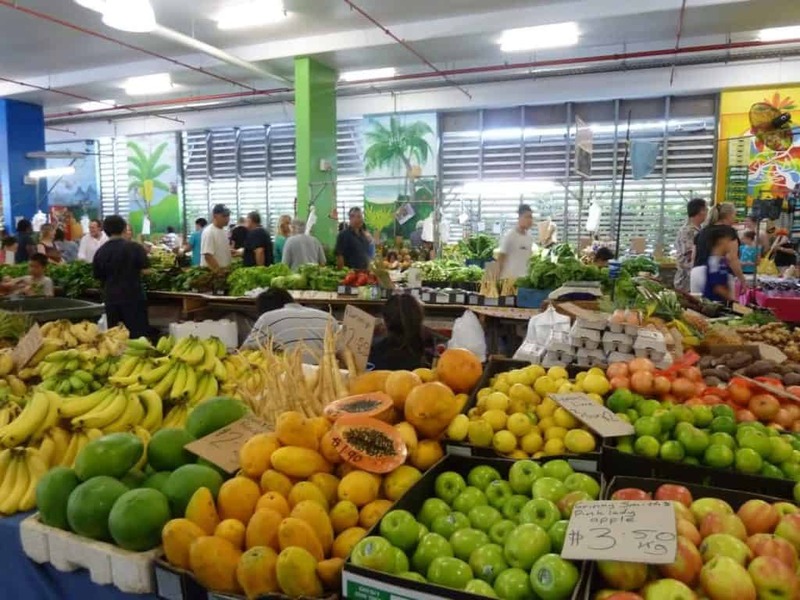 Rusty’s Market opens at 5am on Fridays, Saturdays and Sundays; this farmer’s market has been a hub of the Cairns foodie scene for generations, and it’s worth getting up early to enjoy the tastiest produce that Tropical North Queensland has to offer. 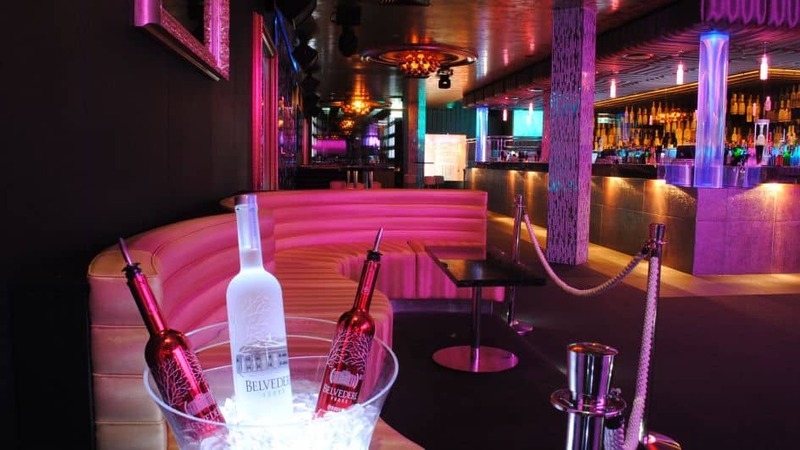 Cairns is hugely popular with young backpacking tourists from around the world, and a great nightlife scene has popped up to cater to them; of the various great venues around, Lyquid is considered the best nightclub in town. It’s very luxe inside, with a gorgeous water swirl-themed entrance, and it’s a great way to meet and mingle with energetic visitors from all over the world. Port Douglas is a seaside town just north of Cairns, with a lovely atmosphere. It can be on the expensive side, but if you’ve got cash to burn, you’ll love the boutique shops and restaurants in town. It’s much closer to the Daintree Rainforest than Cairns is, and it’s also a great spot to base yourself when visiting the Great Barrier Reef; the town itself is a lovely place for a romantic holiday, some beachside fun at Four Mile Beach, or just wandering around the town taking in the atmosphere and learning about its fascinating history. From Four Mile Beach, you can take a very scenic walk past the Port Douglas Lighthouse and up to the top of Flagstaff Hill for a stunning view. The Skyrail Rainforest Cableway is a 7.5km cableway running above the stunning, UNESCO World Heritage-listed verdant rainforest in the Barron Gorge National Park. The views from the Skyrail are quite extraordinarily beautiful, and it’s a very relaxing way to be able to travel through the rainforest in style. Various cableway gondolas are available, including glass-bottom gondolas where you can see the rainforest go by underneath your feet. There’s also a fascinating Rainforest Interpretation Centre where you can learn all about what you’re seeing, and Aboriginal cultural walking tours available from the Skyrail Rainforest Cableway Barron Falls Station. Usually, being able to see lava up close and personal would not be one’s ideas of entertainment, but don’t worry, this attraction is perfectly safe! At the Undara Volcanic National Park, guided tours will take you into an extinct volcano so that you can view the extraordinary Undara Lava Tubes. There are only 23 countries with lava tubes, and the tubes at Undara are believed to be the longest in the world. There’s plenty of other fun to be had at Undara: you can stay overnight at a swag tent village or a pioneer hut, enjoy the Wildlife at Sunset tour, or check out exciting events such as Opera in the Outback.